There's nothing that ruins a family trip quite like vomit. The first time your kid pukes in the car, you might be totally caught off guard. What just happened? 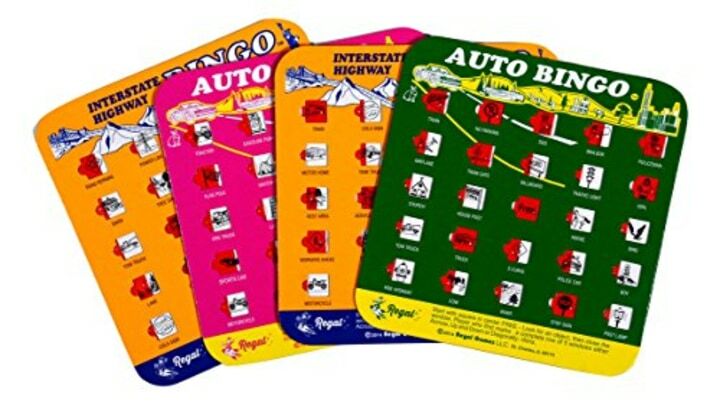 All you were trying to do was take a little ride to see grandma and grandpa and now here you are, pulled over at a random gas station, desperately hoping that you have enough wipes, brought a change of clothes and can get the smell out. As a mom whose kid has gotten both car and plane sick (yes, fellow passengers, your worst nightmare come true), motion sickness is nothing new. Yet every time it happens, it’s the worst. Kids are prone to car sickness starting around two years of age, says Dr. Kevin Dahlman, a pediatrician and medical director of Aurora Children’s Health in Whitefish Bay, Wisconsin. Nausea, dizziness and vomiting can happen when the brain receives conflicting messages: “Your inner ear, which manages balance, and eyes, which perceive motion, don’t match with how you’re feeling,” he said. When your kid is sitting in a car seat, they’re often not focused on what’s going on outside. That disconnect triggers the symptoms. Of course, many lucky kids never experience car sickness. But, if yours do, here’s what you need to prevent car sickness, manage symptoms, and (unfortunately), clean up if it happens, according to a pediatrician. Starting at age 2, your kid can take dimenhydrinate, an antihistamine that prevents nausea and vomiting. You probably know it best as Dramamine. 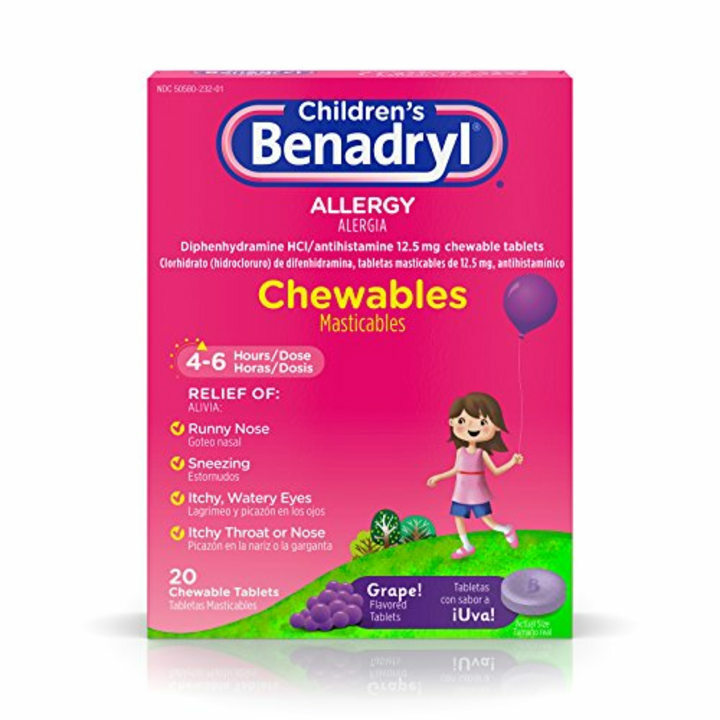 While you can give them the adult version (read the label; they may take a half tablet if they’re young), the benefit to the kid’s formula is that it’s a chewable, grape-flavored tablet, which can make them more likely to take it without fuss. Plus, the handy travel case makes it easy to pop in your purse. 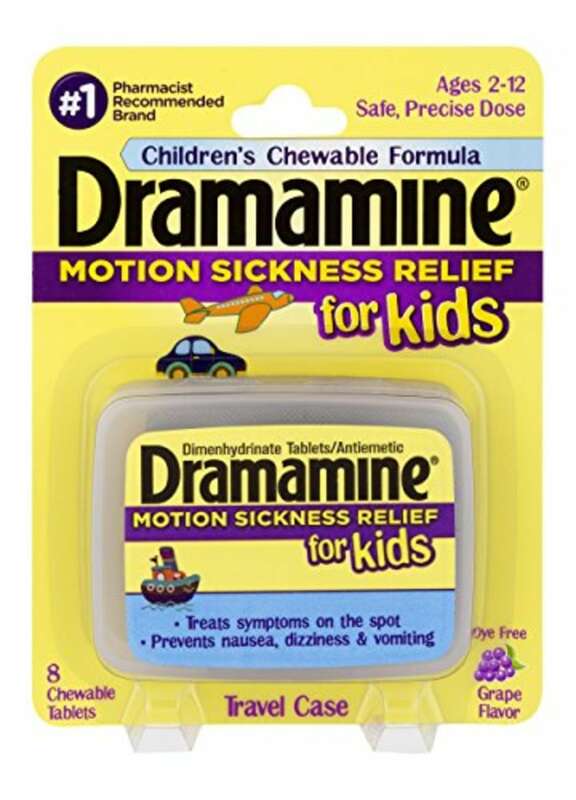 You probably think of this antihistamine as suitable for allergies, but diphenhydramine is another option and safe for kids over the age of 2, said Dahlman. Meds are best used when you’re going to be in the car for an hour or two, he said. Have them take the medication an hour before travel. Warning: It will likely make them sleepy, which can be an added benefit — if they’re snoozing they’re not throwing up — but you also don’t want them to arrive at the destination drowsy. Ginger is a natural remedy to settle an upset stomach. This ginger comes in the form of a candy, which can be a benefit when you’re trying to give it to your kid. These chews are also individually packaged, so they’re easy to grab on the go. 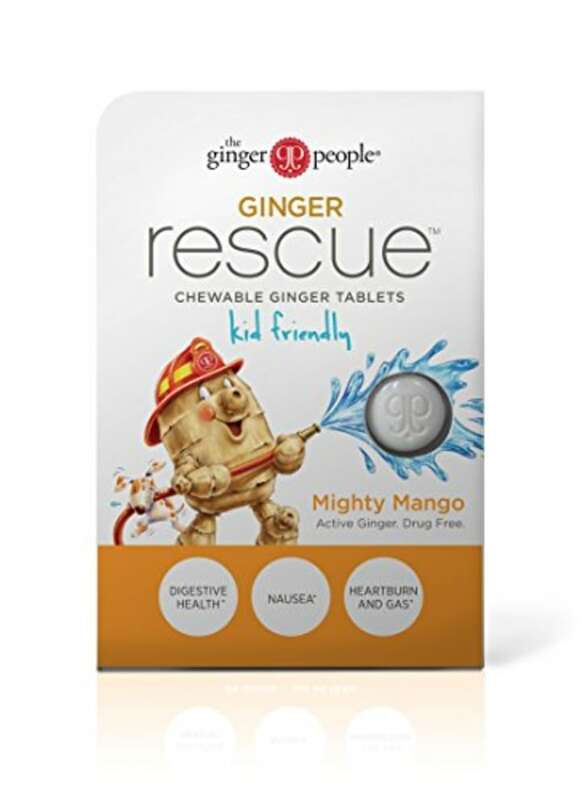 Another option when your kid's tummy feels off, the mango-flavored chewable doesn't taste as much of ginger. 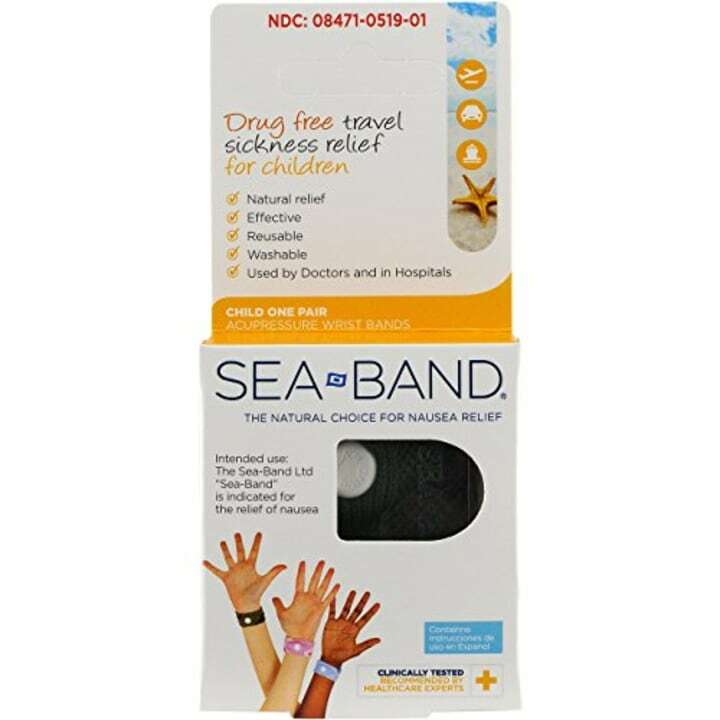 “Some studies show acupressure bands can decrease symptoms of motion sickness, while others say there is no difference,” said Dahlman. That said, there’s no risk in trying them, and you may get good results, he added. If your kid is prone to puking, Dahlman recommends that they look out the window. “When you focus on the outside, you’re better at perceiving motion, and it’s distracting, too,” he said. 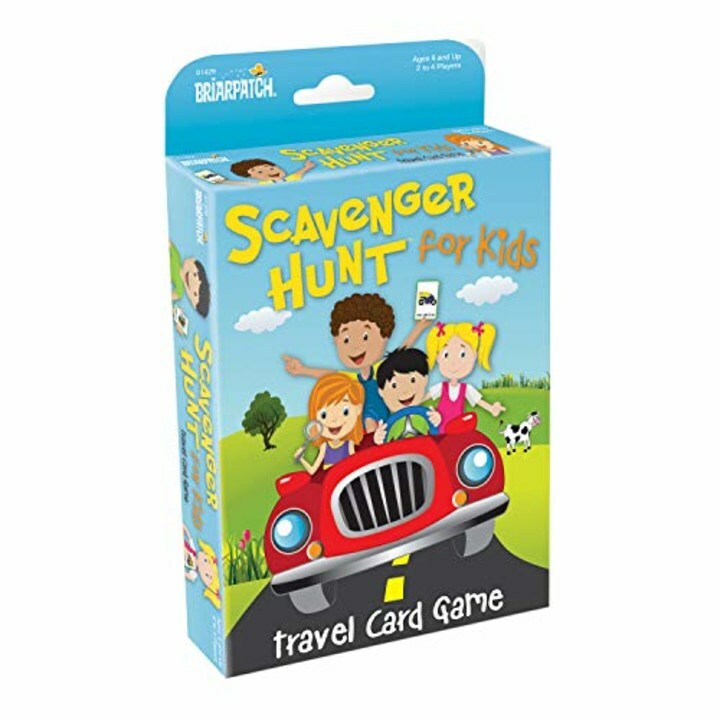 So, encourage a scavenger hunt game. Make it up yourself by having them pick out things they see that are “red” or “begin with the letter C,” or use a card game to help build excitement. Getting the whole family involved can also be the distraction your kid needs to avoid nausea. (Just know where yours falls; some get sick by looking at words, while others need something to do.) This throwback game gets the whole family in on the action. If you have a perennial puker on your hands, a long-sleeved “bib” is a must. (Yes, it’s horrifying that you need one, but here we are.) 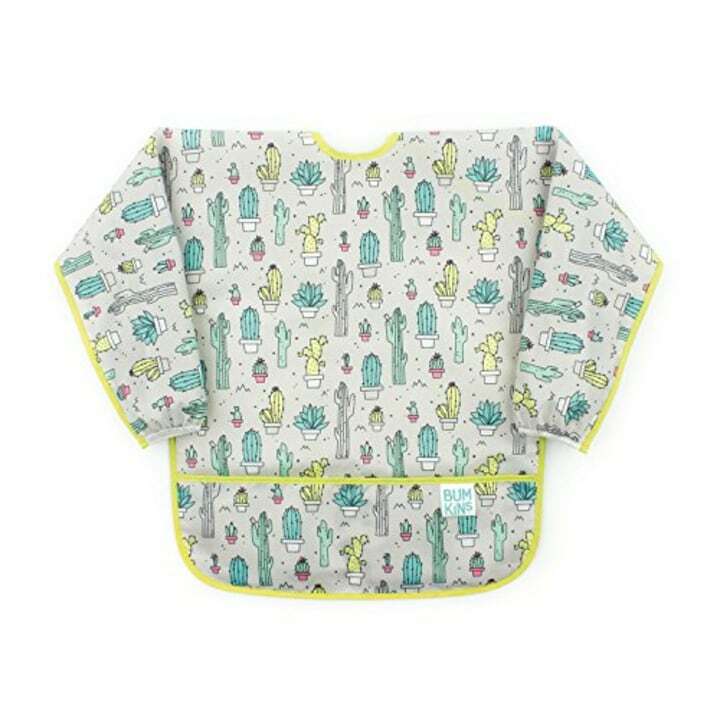 This art smock fits kids three to five, has a pocket at the bottom to catch anything, and is easy to remove and clean. When your kid is a bit older, they can tell you when they’re not feeling great. Or, they'll show signs like cold sweats or paleness, said Dahlman. At that point, you can help them out by passing one of these back. 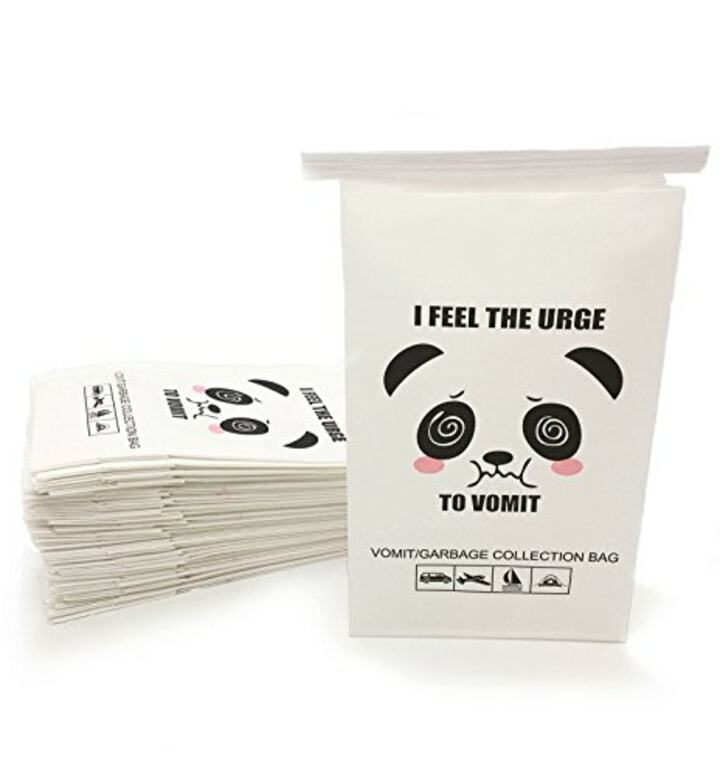 If you’re going to carry a barf bag, might as well make it a cute and funny one. And, before you go: one word on vomit cleanup. The post-puke smell is almost impossible to get out, and it’s tempting to try to use whatever you can to clean a car seat. However, harsh cleansers can compromise car seat material. Always read your car manufacturer’s recommendations for cleaning; often, they suggest a mild soap on the cover and recommend skipping using soap on the straps at all.